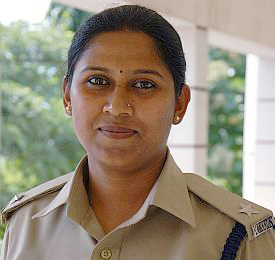 Mangaluru, July 10, 2016: Speaking to media, KSCW, Karnataka State Commission for Women Chairperson Manjula Manasa, said Ballari SP, R Chetan will appear before the commission in connection with the resignation of Kudligi DySP Anupama Shenoy hailing from DK, on July 16. When asked about Mysuru Deputy Commissioner C Shikha’s case, the chairperson said, the commission had approached the DC but Shikha declined to lodge a complaint with the commission, stating that the police in Mysuru are investigating the case. It can be recalled that Shikha has lodged a police complaint against K Marigowda, a close confidant of Chief Minister Siddaramaiah and former Mysuru Zilla Panchayat president, after he along with his aides harassed and physically obstructed the deputy commissioner at the Government Guest House in Mysuru on July 3. Manasa said, the commission takes up the cause of harried and deprived women, and the commission has registered 3,500 complaints since three years. Out of them, 850 cases have been resolved. A majority of the complaints are related to family issues and a maximum complaints are from South Karnataka region.